This seems to be the time of year when I take a look through pictures I’ve shot in the past but never did anything with. Some of this is due to the fact that I haven’t really had the time or the motivation to go out and shoot new material. Some of it is just the simple fact that I like to browse my catalog for images which might be interesting to work with. 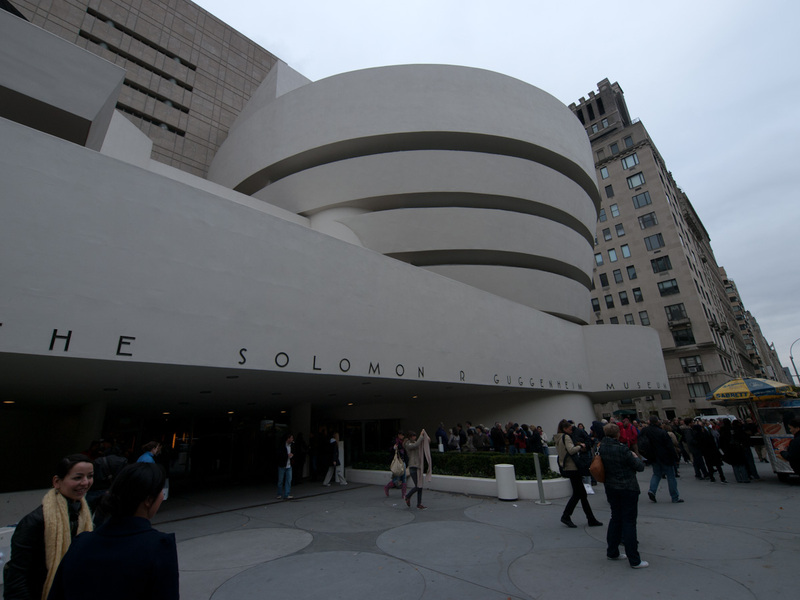 The raw image that I took of the Guggenheim Museum in New York was not going to be one of those images. I didn’t particularly care for the composition, I didn’t like all the people in the shot, it just didn’t thrill me. So it was somewhat of a surprise to me that I picked this image to experiment with. I started out thinking I would try some perspective correction and some black and white work just to see where things might end up. 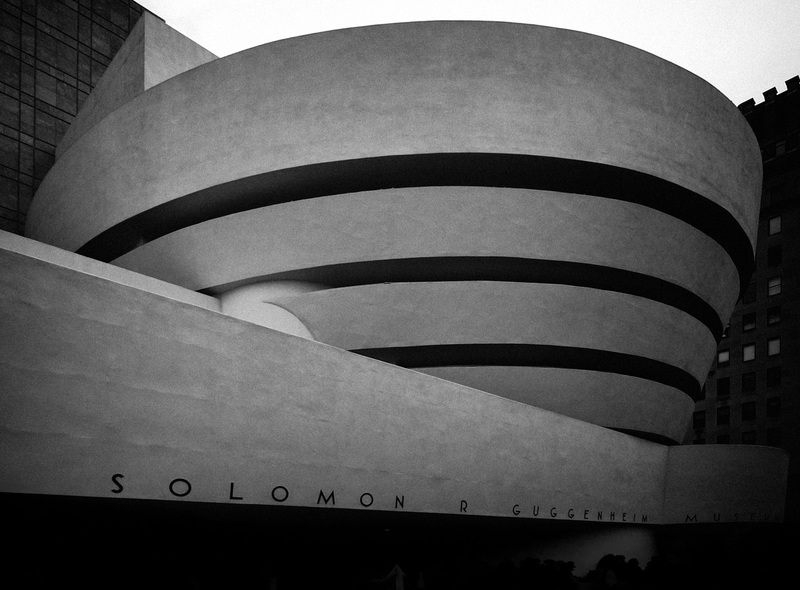 I wanted to emphasize the texture of the building and wanted to get some interesting black and white tonalities. I took the image into Silver Efex Pro2 and ran through some of the presets. I settled on one of the presets which created a dark, but toned image with some edge vignetting. I didn’t want the toning, so I removed that. I also bumped up the structure to bring out more of the concrete surface. The end result was an image which sort of looked like a charcoal drawing. The image was a little flatter than I wanted, so I used curves to brighten the whites and darken some of the dark areas. I used Topaz Simplify to blur out the people in the bottom of the image, masking out the effect from the building. I then played with a couple of crops. The first thing I tried was a square crop, highlighting the ramp portion of the building. I wanted to look at some portion of the image and zoomed in. It was at that point that I saw a different crop, one which eliminated more of the bottom and gave a more elongated feel to the shot. The end result is what you see above. Love to hear you thoughts on this, leave them in the comments below. Thanks! Copyright © 2009-2011 James W. Howe – All rights reserved. What an awesome building. I love the curved lines and your b/w treatment of the photo. Very nice! Really dig this shot. The black and white conversion works very well and I think your crop is spot on. Excellent! I love what you’ve done to the original to create this version – what an improvement! Another example of wonderful (& creative) post processing. Eliminating what we don’t need to see, and really enhancing what we do need to see. Makes me want to go there!